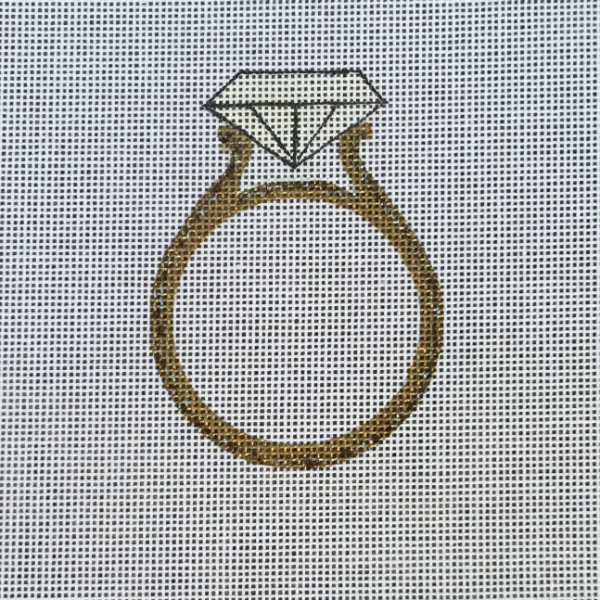 Bling Bling Bling from $ More - won't this make an amazing ring bearer pillow, engagement gift, jewelry box top or ornament? Thinking crystal beads for the diamond and metallics for the ring. What about a date stripe background?